If you thought florals were only meant to be for spring-summer, think again! It has been the most popular fashion trend and it’s definitely not going away anytime soon. From pretty short dresses and festive Indian suits to statement tops and even accessories, the floral trend is very much all around you. While our B-town stars have started signalling the arrival of autumn with their chic style statements, along with opting for deeper colour dues, they have also been turning to florals to keep it stylish. Among many celebs who seem to have a soft corner for florals, one is Alia Bhatt. While during summer the actress was seen crushing on floral printed maxi dresses, she again turned to florals to celebrate her father Mahesh Bhatt’s 70th birthday yesterday. 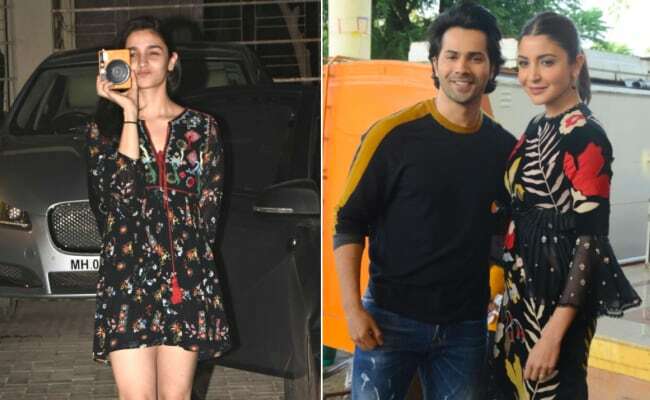 For the family get-together, Alia looked pretty as ever in a short black dress that had a loose fit cut and vibrant floral patterns all over. She teamed it with a pair of peppy slip-on sandals to stay easy and breezy for the evening do and look effortlessly chic. Actress Anushka Sharma, who is busy with the promotions of her upcoming film Sui Dhaaga, has also been setting style goals with her chic fashion choices of lately. Other than making a case for Indian handlooms, she has also been sporting trendy autumn trends. A perfect case in point is the black floral printed dress by Sahil Kochhar that she wore during one of the promotional events. Unlike Alia’s dress, Anushka’s number was all about bold floral prints in autumn colours that proved that florals can work for all seasons. So don’t hold yourself back from florals. Go and have fun like these celebs!